Bosch AQT 33-11, Car Wash Kit, High Pressure Washer, Bosch, AQT 33-11, Vadodara, Gujarat, India. 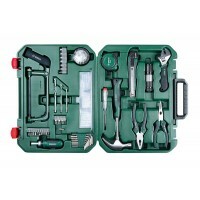 The compact design and the intelligent storage system make the AQT 33-11 a real space saver. Thanks to its self priming ability you can use a mains water supply as well as a rainwater tub or a jerry can. The AQT 33-11 comes with a high-pressure foam nozzle,a fixed fan-jet nozzle, a 3 m high-pressure hose, a clear. water filter and a gun including lance. 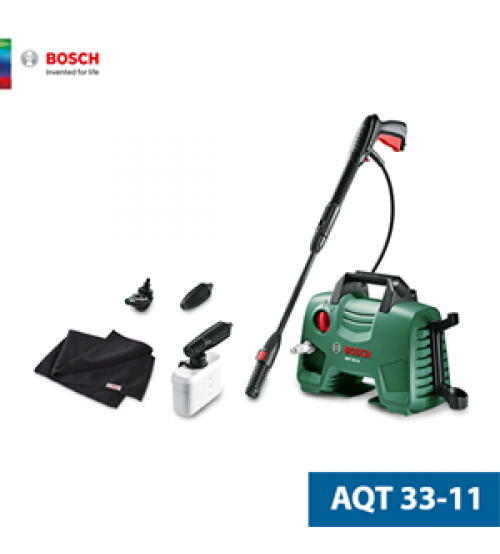 Make it your home with the AQT 33-11 high-pressure washer from Bosch.It has a compact, lightweight and space-saving design. It is quick and easy to set up and use and provides you with strong cleaning power.